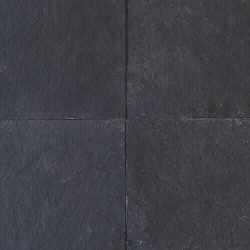 Kota Black Limestone is a Jet black stone with a uniform textured surface. This Black Limestone gives a contemporary look to any area; this is very tough, non-water absorbent, non-slip, non-porous and has excellent stain removability. Black Limestone Aggregate is a light Black or dark grey colour when dry‚ and more richly black coloured when wet. It is considered ideal for flooring, paving and roofing. It can easily withstand every kind of climate whether it is freezing cold, scorching summer or heavy rain. Kushalbagh Marbles is the leading manufacturer, supplier and exporter of Black Limestone. We are exporting Black Limestone to over 20 countries all over the world. We supply Slabs, Tiles and other cut sizes of Black Limestone.